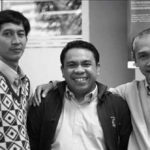 Sinambung.com – On 2 August 2018, Sinambung Indonesia, an Education Agency, in cooperation with Dcolearning-ATV, a Registered Education Provider of Project Management Institute operating Indonesia, launched its newly developed Project Management For Educators (PMFE) modules aimed for Indonesia’s school teachers and educators. 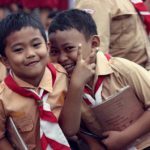 The modules have been developed to help teachers and educators in teaching Indonesian students to understand the concept of project management based on a globally accepted standard in project management and to enrich their project-based learning experience. “As a corporate and professional development program provider, we have been in professional sectors for quite some time now, we are seeing the growth of professionals interest in learning project management to support their job or professional demands. Both in for-profit and not-for-profit organizations. The trend is similar. 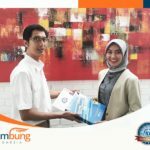 Therefore, with Sinambung Indonesia, we believe we can start introducing project management even earlier from high school level in line with Project Management Institute Education Foundation (PMIEF) models.” Beby Lokita Salsabila, Program Development Manager of Dcolearning-Accoladia Group. The PMFE pilot programs will be launched on 21-23 November 2018. Prior this program above, Sinambung Indonesia offers a series of mini sharing session events called Bincang Sinambung from Mid-September to Mid-October 2018. The Bincang Sinambung events are available for Indonesia’s teachers and educators for FREE. Sinambung Indonesia invites all school principals and senior teachers to join this program. For more information and registration for PMFE, you can contact Sinambung Indonesia & Dcolearning-ATV representatives below.